Global Values for Life Justice, Peace and Sustainability. Responsibility, Freedom and Integrity: Promoting values-driven behaviour globally and in the local contexts in order to enable life in dignity for all human beings and the whole creation. Inspiration Being open for God’s inspirational and creative energy for improving lives. Innovation Implementing innovation for efficient solutions and reduction of suffering. Integration Acting for inclusive societies by reducing the poverty-wealth gap. Global Values for Life Visited Countries of Christoph Stückelberger, status end 2018. 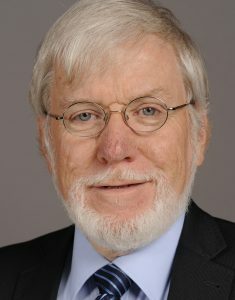 Christoph Stückelberger, Prof. Dr. Dr. h.c.
Born 1951. Married since 1975 with Susanne Stückelberger-Aeschbach, Psychotherapist, Kynesiologist, Family therapist. Four adult sons. Ordained protestant pastor 1979, PhD 1988, Habilitation 1995, Professorship 2001. Living in Zurich/Switzerland, working in Geneva/Switzerland. Professor emeritus of Systematic Theology/Ethics at the University of Basel, Switzerland, Theological Faculty. Visiting Professor of Ethics at the Godfrey Okoye University GOUNI , Enugu, Nigeria, Faculty of Management and Social Sciences. Distinguished Professor of Ethics at Moscow Engineering and Physics Institute MEPhI, Moscow, Russia. Visiting Professor of Ethics at Kingdom Business College KBC, Beijing, China. Member of the Academic Committee of the Research Centre for Religions and Business, Minzu University, Beijing, China. Member of the Board of Directors of Quadia Impact Investment, Geneva, Switzerland. Independent Ethics Expert of the Scaling Up Nutrition SUN Movement, a global movement to end malnutrition. Member of the Board of the Institut interdisciplinaire d’éthique et des droits de l’homme of the University of Fribourg, Switzerland. Member of the Advisory Board of Fokus Ethik. Forum Schweiz, Thun, Switzerland. Ethics Consultant for companies and projects on integrity, corruption, ethics. Ethics Coach of entrepreneurs and leaders in universities and churches. Director of the Swiss Development Organisation “Bread for all” (12 years), 1992-2004. Founder and President of STEP Foundation for fair trade carpets (1995-2004). Member of the Swiss Ethics Committee on non-human Biotechnology of the Swiss Government (1998-2007). President of the international microfinance institution ECLOF working in 30 developing countries (1999-2007). Founding President of the Swiss Association Church and Environment OeKU 1985-1996. Member of Boards of academic ethics centres in China, Cameroon, Kenya.